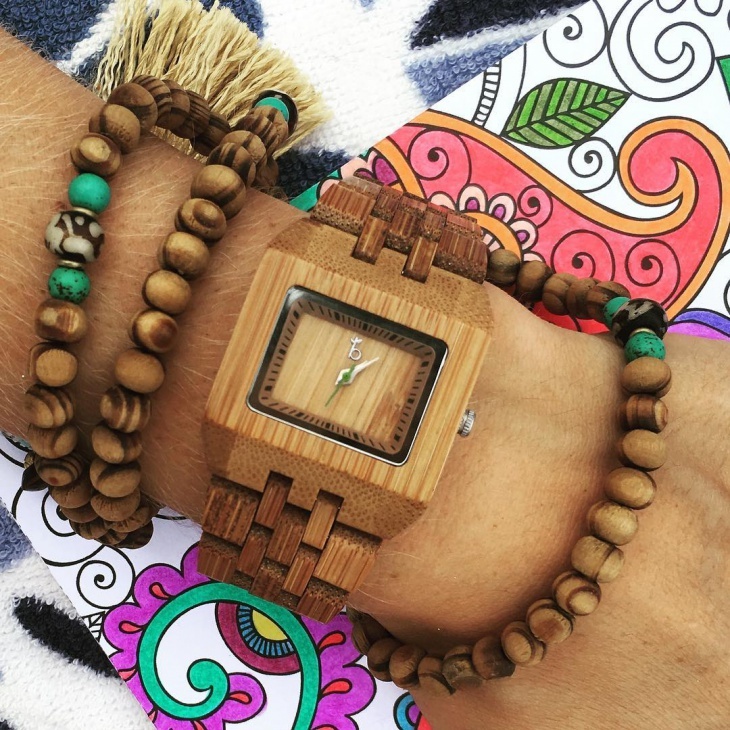 A bamboo watch is a style statement because of its rustic and natural look. 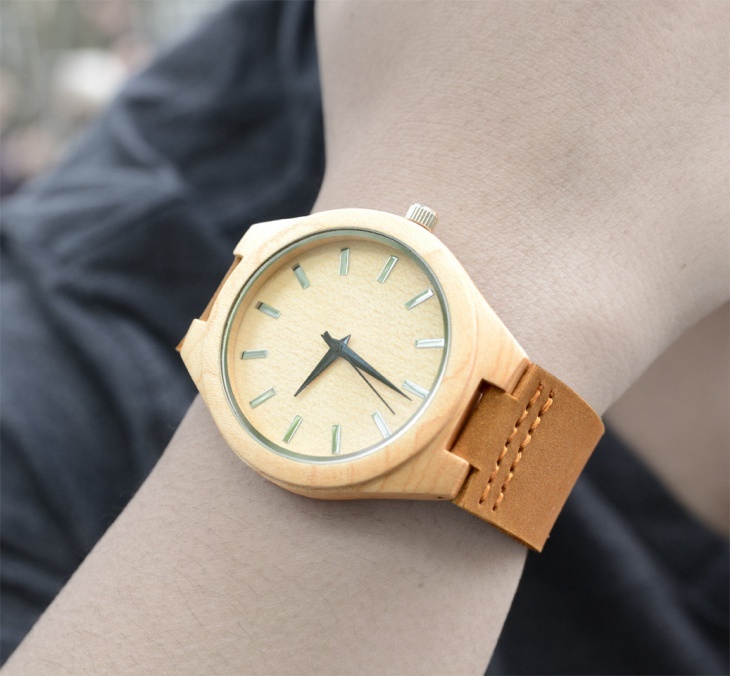 These bamboo watch designs are so elegant and well finished that it is nearly impossible for someone not to like them. 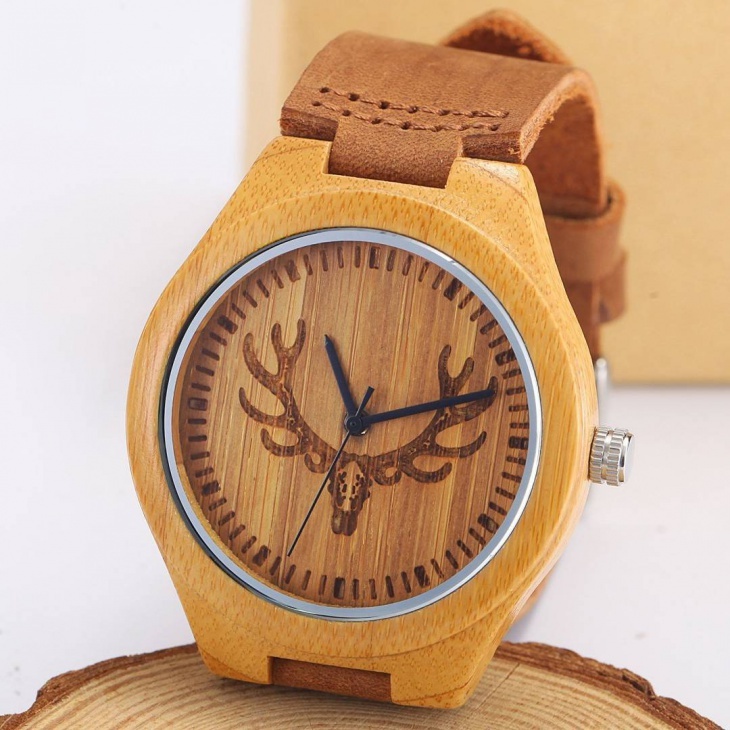 The bamboo wood being light weight, can be carved into beautiful designs, makes these watches unique. These handcrafted masterpieces are a style statement and can make anyone look elegant with its looks. 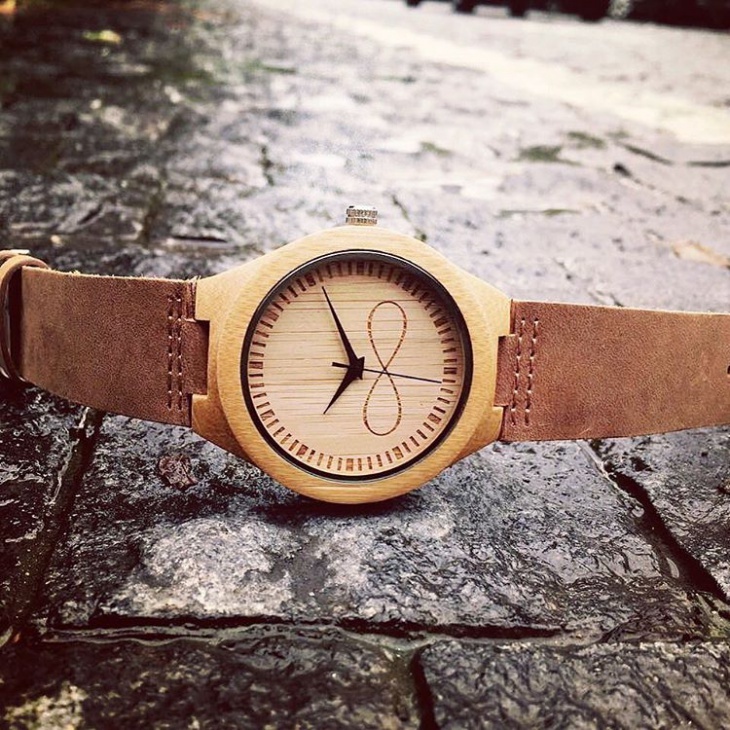 This Minimalist watch design from Treehut with a wooden bamboo dial and the genuine leather strap is handmade. 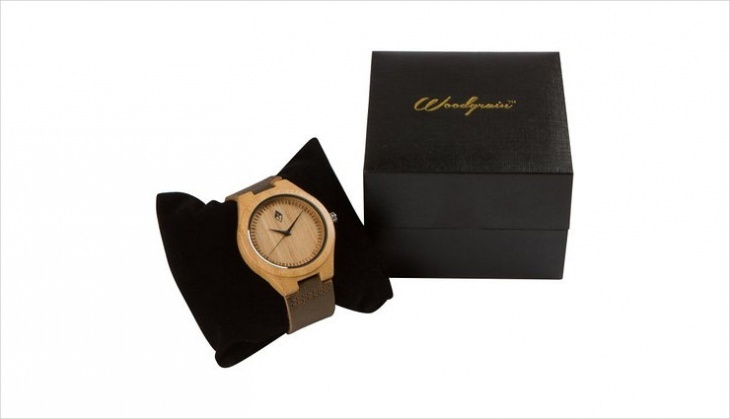 This watch is designed with Japanese Quartz movement and eco-elegant design. No chemicals and paints are used in the making of this analog watch. 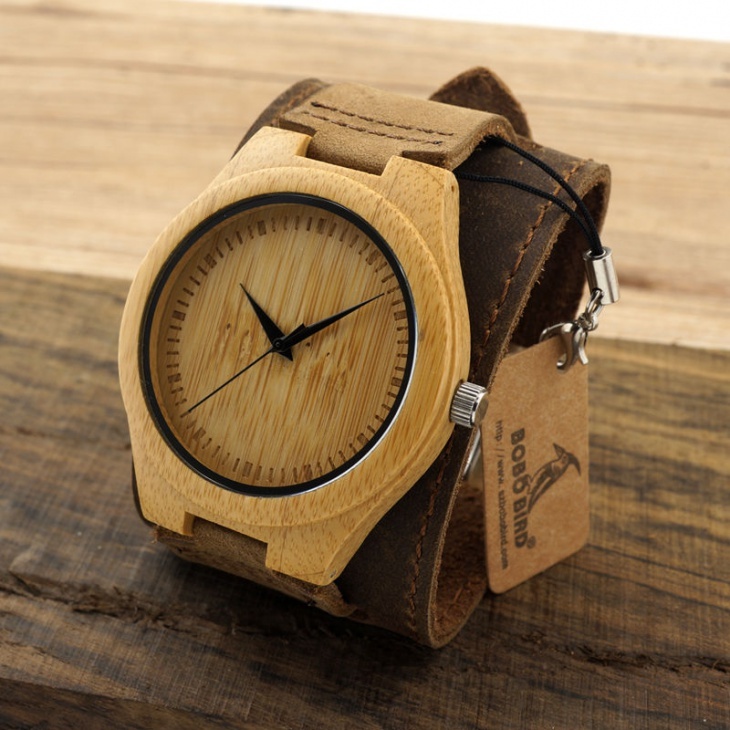 This elegant bamboo watch is a must in every man’s watch collection. 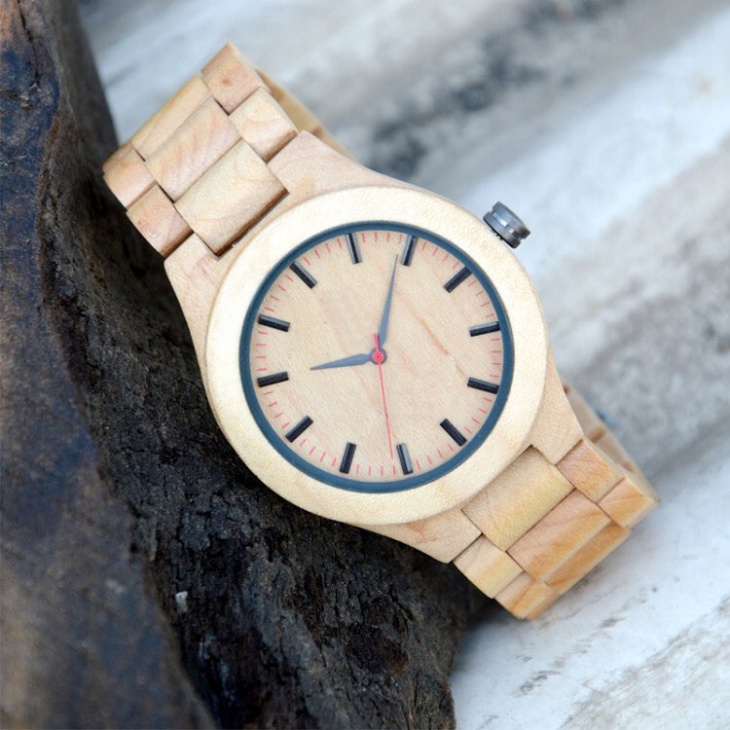 This beautiful wooden watch with weightless bamboo wood dial and leather band can be worn both by men and women of any age group. 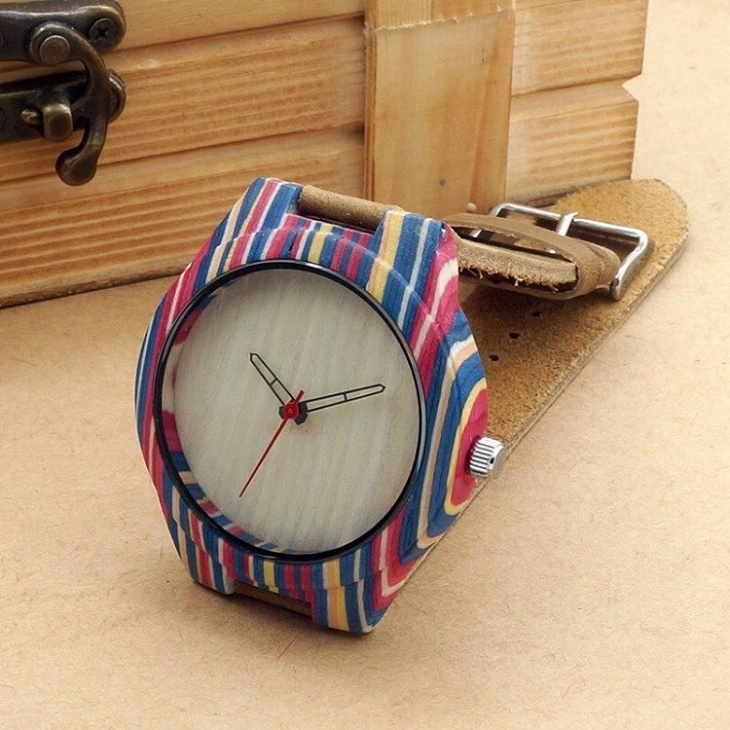 With its elegance, this Bamboo wrist watch can suit any outfit and add to the look. 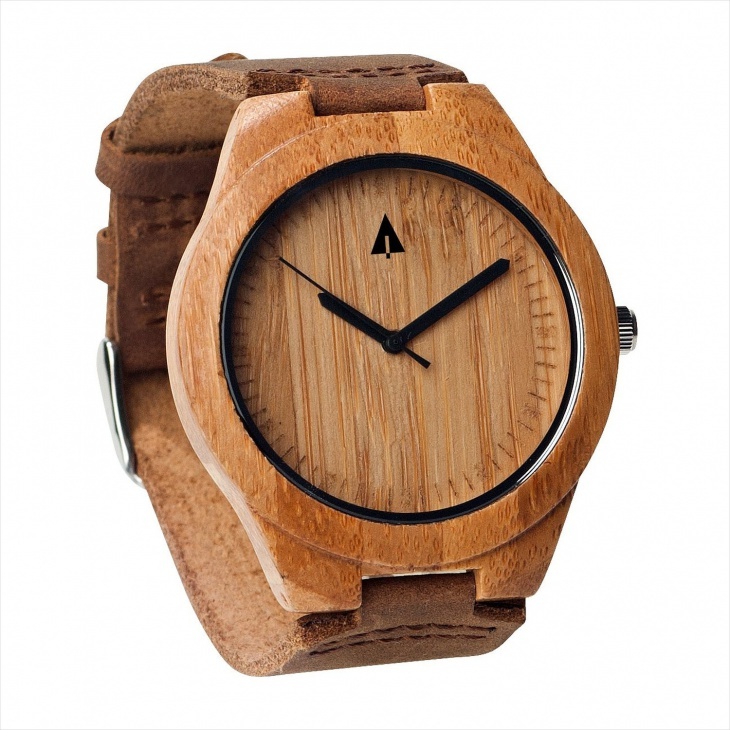 This Men’s bamboo watch with detachable leather strap and real bamboo wood is handcrafted to perfection with Japanese quartz movement. This beautiful watch is a must -have in every man’s wardrobe. 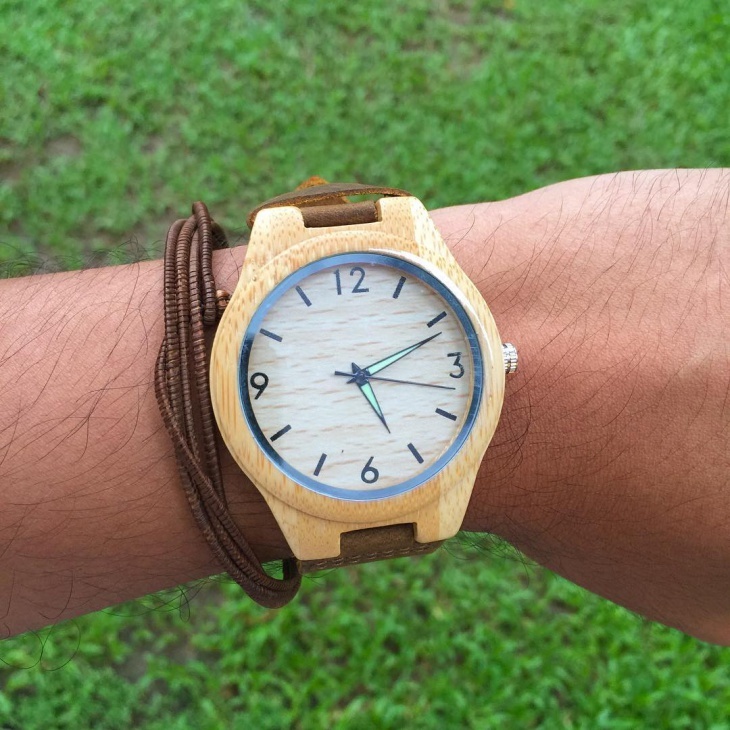 This handmade stylish wooden watch with the real bamboo wood dial and the genuine leather strap is a statement piece. This watch can be worn with the formal or casual outfit. This can be a very good gifting option too. 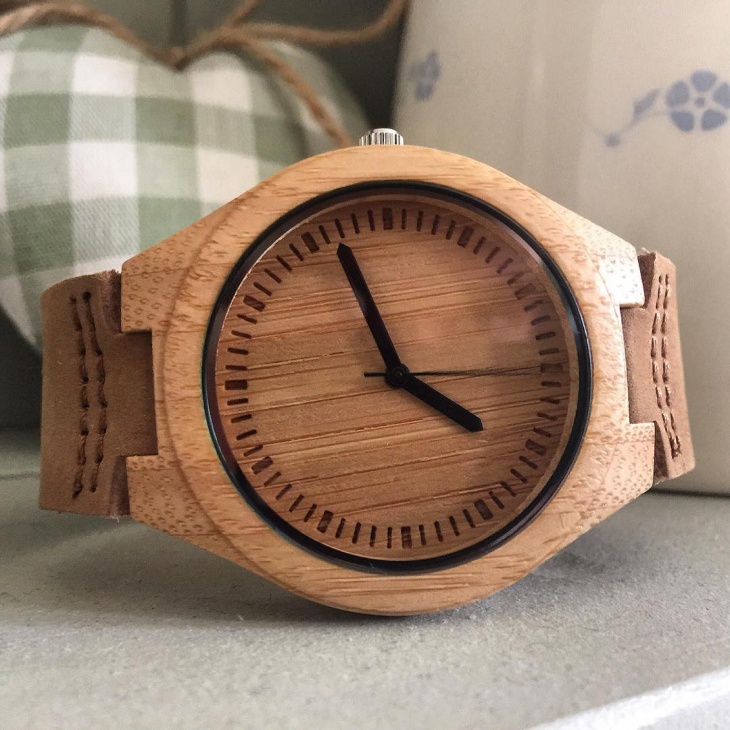 This personalized watch with customer’s name on the back of the bamboo wood dial from StudioWNA is a cool watch. 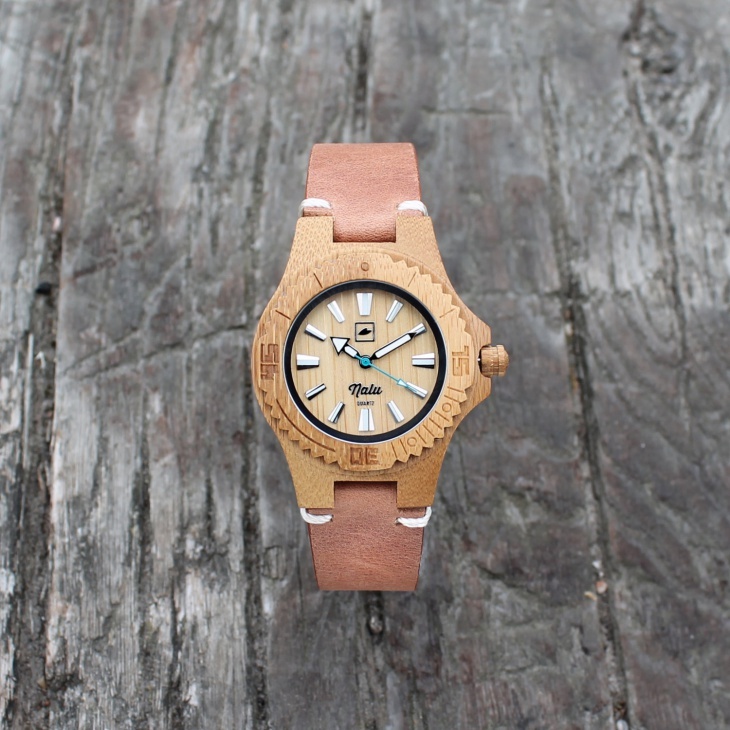 With the genuine leather band and its rustic look, this cool bamboo watch is every man’s dream. 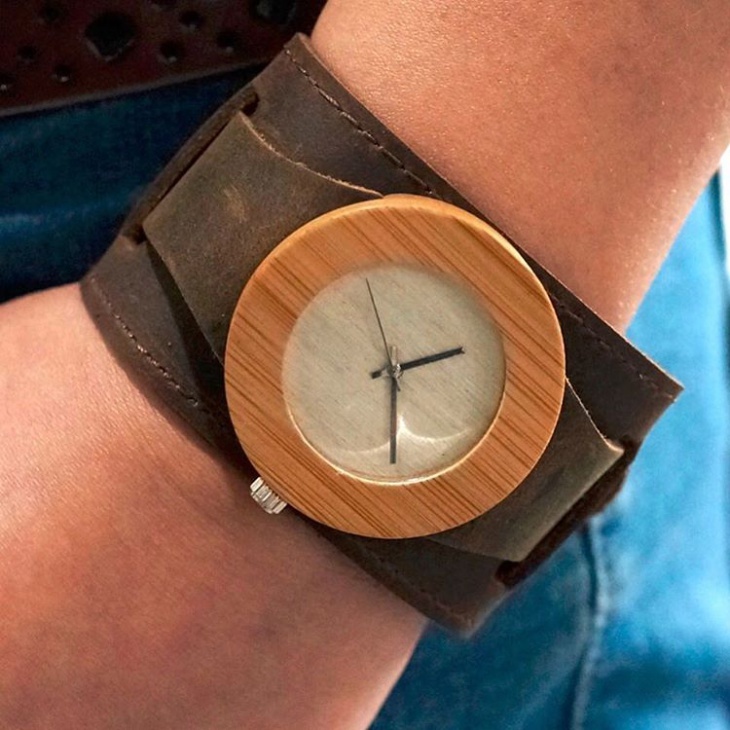 This small bamboo leather watch from NALU is handmade with precision. 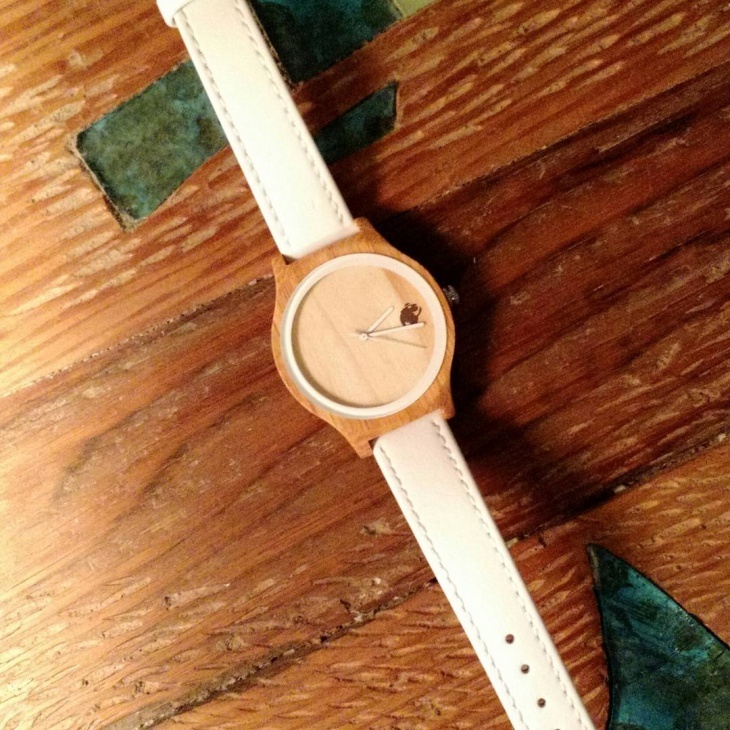 The dial is made from Moso bamboo and the leather band is genuine. This small watch suits anyone from any age group irrespective of gender and gives a sophisticated look to the outfit. 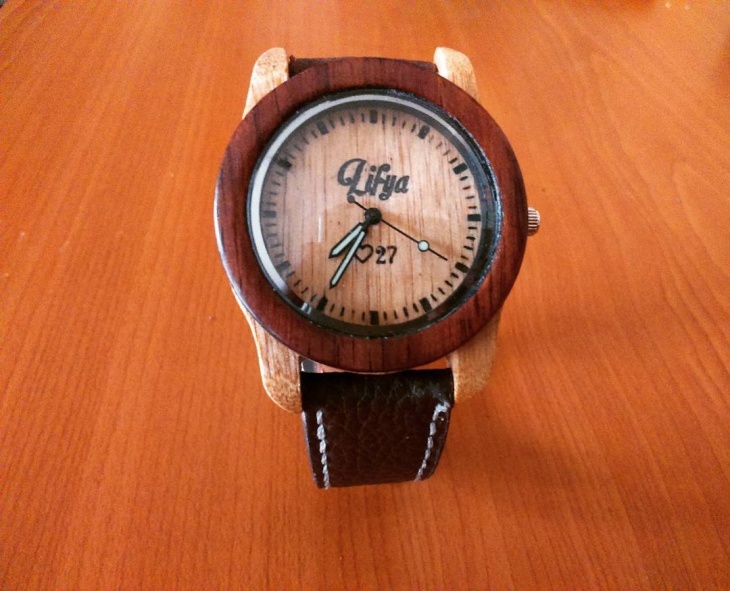 This brown wood watch made from Oak and Tigerwood dial which can be engraved with the chosen name and the leather band is a masterpiece. 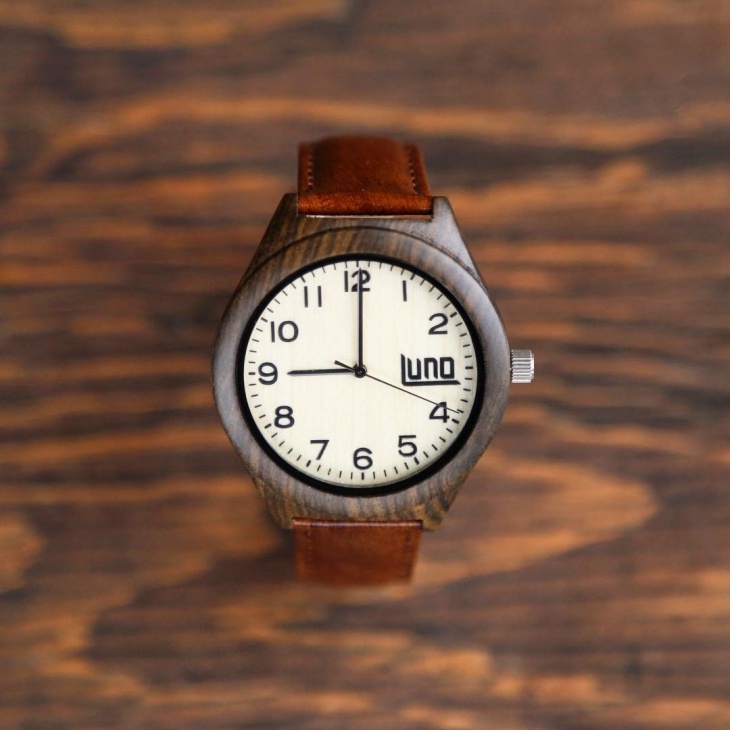 This perfectly handcrafted watch is a very good gift. This watch can be worn with a casual or formal outfit. 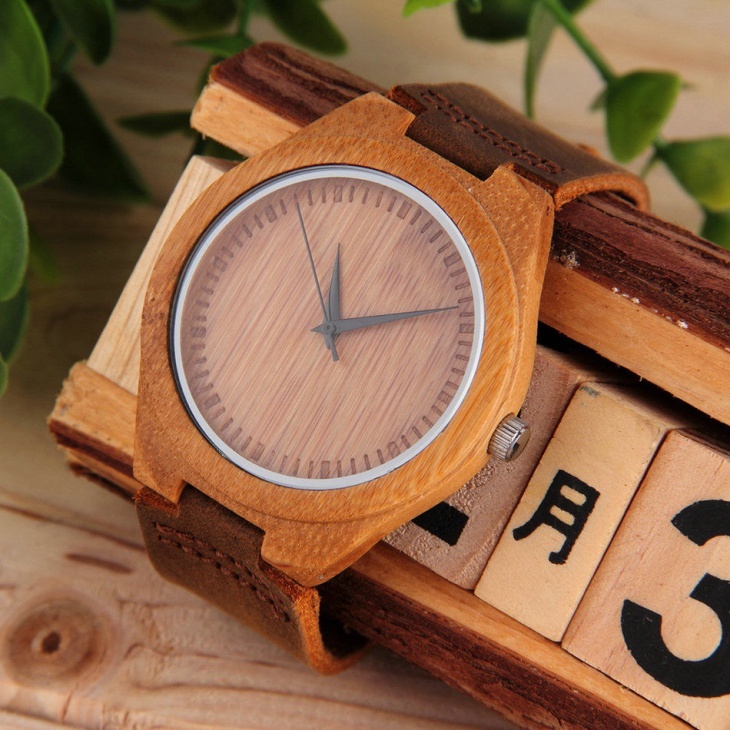 This wooden bamboo watch with a dial in two color combinations of light and dark with a dark brown leather looks like a vintage piece. 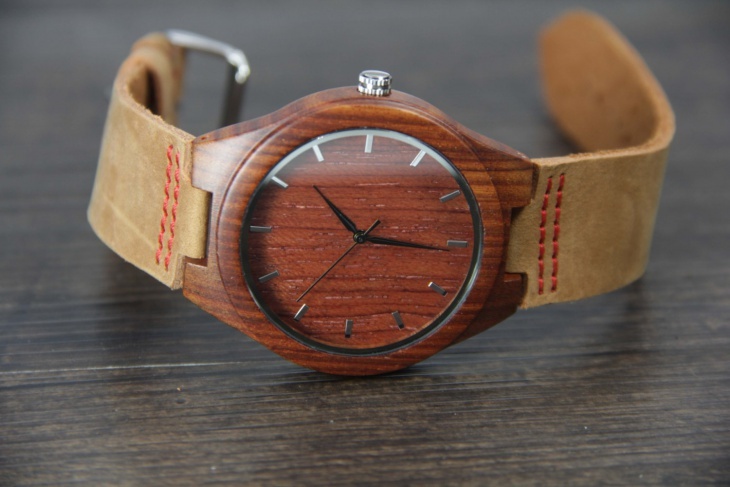 This elegant handcrafted watch sure makes any man look wonderful. 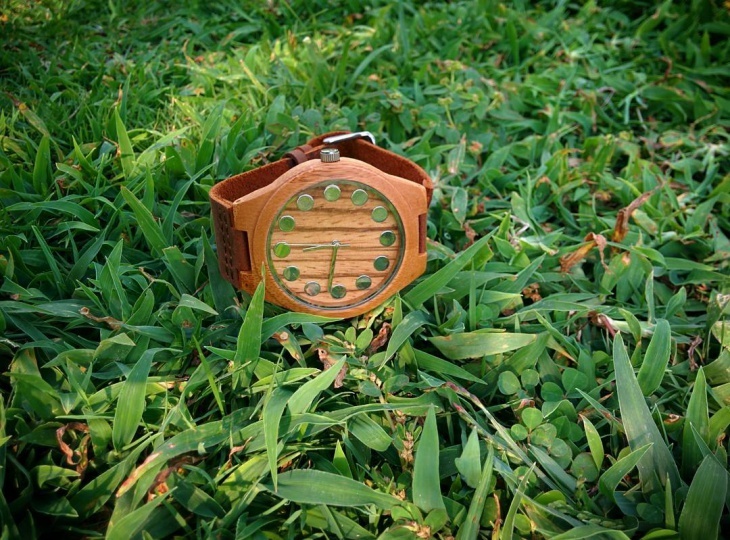 This natural bamboo wood handcrafted watch has a bamboo wood dial and leather strap. This watch with steel pointers as numbers in the dial gets a modern look. This watch goes with any outfit and suits anyone irrespective of age and gender. 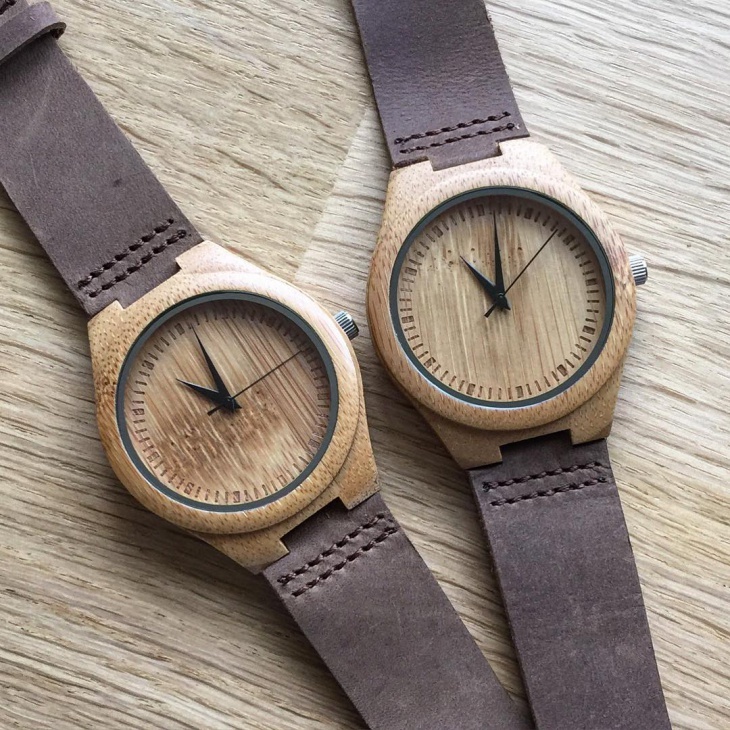 These bamboo watches are a fashion statement and can remain in fashion forever. These quirky watches are so much in the style that everyone wants to have one for them. 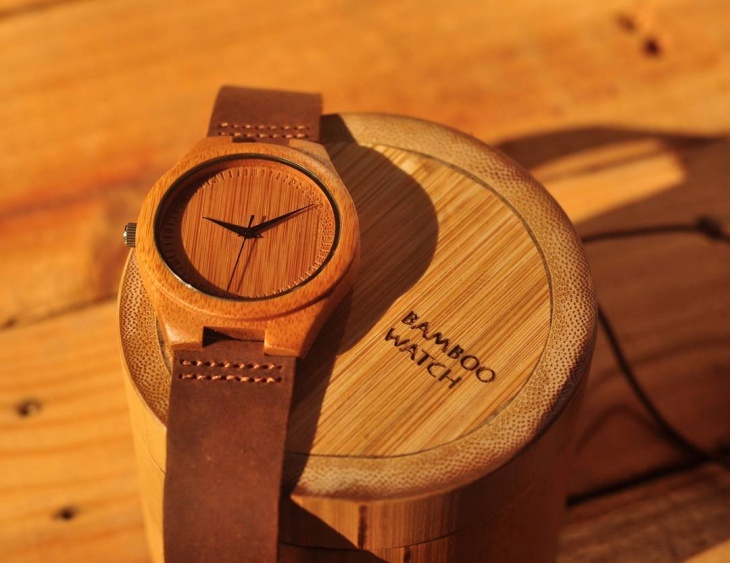 The diamond and pocket watches are also in now along with bamboo watches.